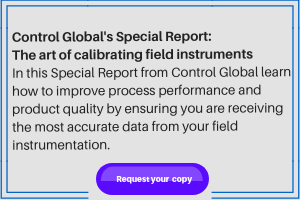 This Control Talk column appeared in the September 2018 print edition of Control. To read more Control Talk columns click here or read the Control Talk blog here. Greg: Last month we discussed a lot of potential problems with impulse lines. Here, we get into what are some alternatives in terms of the use of purges and capillary systems, particularly to deal with problems with solids, polymers, hazardous materials, and corrosive and sticky fluids that could plug lines, coat and corrode surfaces, or present safety concerns in terms of maintenance. Hunter and I, (co-founders of the ISA mentor Program) continue this conversation on DP and PT installations. Some basic requirements that come to mind are associated with the purge flow rate not creating a variable significant offset in the measurement due to purge pressure drop or by effect on the process. The purge flow must be constant for all lines. For differential pressure measurements, extra care must be exercised that any difference in pressure drop from purge flow is negligible compared to smallest differential pressure measured. Also, the purge fluid must not appreciably impact the density of the process fluid or the velocity profile for DP flow measurements at the point of measurement. The purge flow must be visible and adjustable. For bubblers, the tip opening should be increased by cutting an angle off at the tip after cutting off the tip so that you have increased the area of purge flow entry beyond a simple circular opening. This should help prevent drying out and plugging at the tip. Loss of purge flow must be alarmed as an indicator of a plugged point of entry into the process or insufficient purge pressure to prevent backfilling of the impulse line(s) or bubbler dip tube with process fluid. Hunter, what are some of the problems you have seen and what guidance do you offer? Tank contents whose specific gravity changes – this will make the measurement read high or low depending on real specific gravity versus the calibration. Bubblers work best on tanks whose contents are consistent. Greg: Capillary systems have been used to eliminate impulse and equalization lines but careful attention must be paid to design and installation. Changes in hydraulic pressure from density changes in fill caused by temperature changes must be minimized. The response should be made as fast as possible by reducing the resistance imposed by capillary length and size. The capillary must be secured and temperature effects from ambient conditions and proximity to uninsulated equipment or piping minimized. For DPs, the capillary should generally be the same length and size. If not, the offset imposed in DP calibration must be constant. Even when these criteria are seemingly met, I have seen some strange problems with capillary systems. One very large plant extensively used them because of monomers and polymerize that could coat and exhibit a runaway polymerization upon stagnation. All of the measurements exhibited poor response and accuracy. It was found that the systems were filled by a service company that did have the skills or equipment to ensure that there were no air bubbles left after the capillary systems were evacuated and filled. In other cases, I have seen sudden movements in pressure and level that are too fast and uncorrelated with anything in the process. They were tracked down to unsecured capillary systems blowing in the wind. In another system, there were slow changes over a period of hours that were tracked down to changes between sun and shade by clouds or time of day. Hunter, what are some mistakes and what are some best practices that come to mind? Process conditions – vacuum or high temperature can “boil” the fill fluid and damage the seals. There are fill fluids that can handle these conditions but they tend to be very viscous and slow the pressure response. Variable process temperatures can shift the zero as the fill fluid expands/contracts. Ambient conditions – low ambient temperatures can make viscous fill fluids respond even slower. Less viscous fluids can handle lower ambient temperatures but generally can’t handle high process vacuums or process temperatures. Also varying ambient temperatures can expand/contract the fill fluid in the capillaries, which will result in zero shift errors. Capillary size – larger capillaries have faster pressure response but will be more severely affected by ambient temperature variations. Small capillaries will not be as impacted by ambient temperature changes but will respond slower – especially if the fill fluid is more viscous. Seal Configuration – there are many configurations including single seal, balanced dual seal system (two seals the same size with the same length capillaries), and unbalanced (two seals that have either different seal sizes or different capillary lengths). Each configuration has pros, cons and cost differences, and should be evaluated carefully. Electronic Remote DP transmitters - essentially two single seal transmitters which read the process and calculate the DP are another option that can make sense in some applications. In summary, there are many design trade-offs between seal configuration, diaphragm size, capillary size and fill fluid type, and the entire system must be carefully evaluated to select the proper equipment for a given application. Regardless of the seal type chosen, diaphragm seals are sensitive and are easily damaged. Many units have been ruined by a careless mechanic who tossed them on the ground, installed them without the proper O-rings or spacers, or tried to clean them with a wire brush or scraper. For more details, see Tip #14 Capillary System Pitfalls in our ISA book 101 Tips for a Successful Automation Career. Greg: I looked at a vintage copy of Chemical Seal Installation & Instructions from WIKA and was impressed by the extensive guidance and installation details of the rights and wrongs. Here are some notable highlights of lowlights (some more obvious than others). Return capillary system to supplier if there are any cracks or damage to seal or capillary. Greg: We continue our conversation here online with additional guidance on purged lines and capillary systems offered by Daniel Warren, who participated in last month’s column on the installation of impulse lines. Daniel has 35 years of experience as a Senior Instrument & Electrical Design Specialist in Oil, Gas, Chemical, Food, Mining, Utilities, Water & Waste Water and various Pulp & Paper facilities and is the owner of D.M.W Instrumentation Consulting Services Ltd.
Daniel: Since purged lines and capillary systems are so prone to design and installation problems, here are some additional considerations based on my plant experience. Corrosion – impulse lines need to be inspected regularly to ensure that no contamination gets into the product or can foul up or plug off the line. Purge medium’s (like hydrogen or nitrogen) not meeting spec. Separation between redundant instrument sensing lines should be provided by free air space or barriers or both such that no single failure can cause the failure of more than one redundant sensing line. Sensing lines should be run along the walls, columns or ceilings wherever practicable, avoiding open or exposed area to decrease the likelihood of persons supporting themselves on the lines or of damage to the sensing lines by pipe whip, jet forces or falling objects. Routing of sensing lines should ensure that the lines are not subjected to vibrations, abnormal heat or stress. Likelihood of resonance is increased for longer sensing line runs. This is detrimental from vibratory and seismic considerations. Sensing lines should not cause any obstructions that would prohibit personnel or traffic access. Sensing lines should not interfere with the accessibility for maintenance of other items of equipment/instrument. The two sensing lines especially in case of DP flow measurements should be kept close together to avoid a false pressure difference arising from a difference in temperature. Sensing lines should be adequately supported along its entire length. Supports, brackets, clips, or hangers shall not be fastened to the sensing lines for the purpose of supporting cable trays or any other equipment. Sensing lines should never be sharply coiled or twisted. The manufacturer’s guidelines should be followed for installations. Ensure that the appropriate fill fluid is used for the application. Sensing lines at different temperatures should not be run together for level measurement. This may affect the density of fluid in reference or measurement lines. Each sensing line, as a minimum, should be tagged at its process line root-valve connection, at the instrument. Each valve also should be tagged. Where sensing lines penetrate a radiation, fire, water, or air seal, care should be taken to ensure that the seal is not degraded by the sensing line's seismic or thermal movements. In addition, the mechanical properties of the seal shall be reviewed to ensure that the seal does not anchor the sensing line when a guide is required. All sensing lines including trays, supports, instrumentation, valves, and other in-line devices should be installed to avoid contact interferences caused by relative motion between the sensing line and other adjacent equipment or devices. Sources of relative motion that should be considered are thermal expansion, seismic motions, vibrations, and design-basis accidents or events. Imperfections on the sensing lines outside diameter can be potential source of problems. Handling of the tube shall be done very carefully to avoid scratches and protect the finish. Dragging the system across any surface that could scratch the surface can cause seal corrosion and sealing problems. Visually inspect system to ensure it is free from scratches and other damage. 10. We were able to reduce the variability in all our pressure measurements (made the trends all draw a straight line) by wide open purge valves. 9. Let’s cut costs and time by eliminating the purge meters and needle valves, letting piping do it all. 8. Just pile up the capillary systems till we are ready to use them. 7. Let the capillary just hang out. 6. Secure and coil the capillary by wrapping it around the pipe. 5. Chip away the crud on the diaphragm face. 4. Give the diaphragm face a good scrubbing. 3. Just put duct tape on any cracks in the capillary system. 2. Artic fronts won’t bother us since the capillaries can’t freeze. 1. Locate all the transmitters on the top floor so we can simply look down on all the capillary systems.